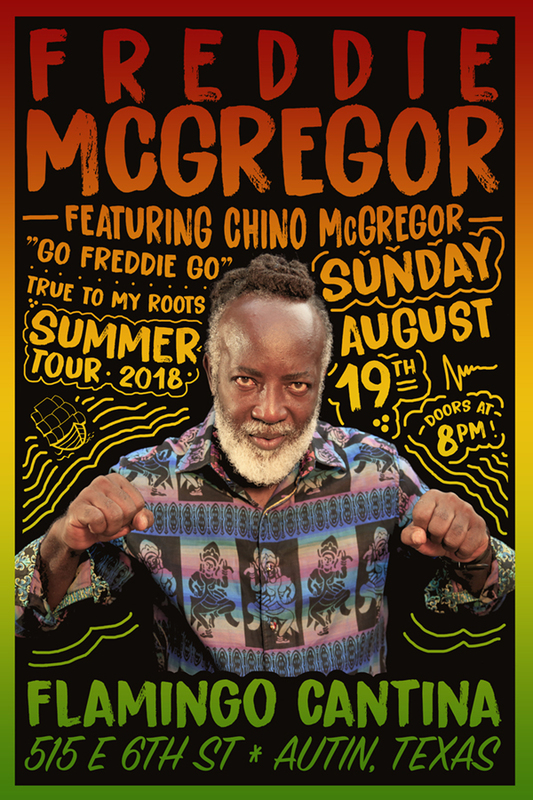 This is an early show~ doors at 8:30 p.m. DJ Jah Bill opens the show; Freddie’s portion of the show begins between 9:30-10:00 p.m. Advance tickets end day of show at 6 p.m. Remaining tickets will then be available at the door at 8:30 for $25 cash only; ages 18 and up with valid ID. Winston’s Kitchen will have delicious Caribbean fare available.